FindHaunts.com is ran by only a few people, so there’s only one or two of us that look at a *lot* of different websites from haunts all over the country. Some of these events have well maintained, well thought out, and extremely functional websites that help promote their event as well as close the sales gap by offering online ticketing options. Many haunted house event websites fall short… sometimes to the extent of damaging event attendance! Therefore, in an attempt to help make the world a better place, and to help Halloween and Fall events like Haunted Houses gain in popularity, we have created a handy list of things that you should check on your haunt website to ensure that the first impression your haunt makes is the BEST impression it can make. 1) Make sure your event has a dedicated website! This should come as no surprise to most of us, but it’s obvious that there are a subset of haunters out there that believe a Facebook page, YouTube channel, or “free” website hosting from places like wix/web.com/weebly/moonfruit/webs.com/etc is enough. In fact, these sites are so problematic for listing services like ours, we don’t allow them to be listed! Why don’t you allow events listed with these sites? We do allow you to list your event if you have these types of sites. However, we don’t allow a listing if one of these sites is your PRIMARY web presence. It is extremely difficult to prove ownership and validity of events on these services. Contact information is often obscured, unavailable, or inaccurate. Haunted attractions that go stale but keep websites up and running are often on these services, and there are often irrelevant ads or other junk that gets displayed with your website. Additionally, our website (and yours should, too), uses the social networks as an accessory to marketing, not the primary route. So what about Facebook/Twitter/YouTube? Can’t I make a company page and have that be good enough? We believe that most events (even home haunts!) should have a Facebook page, a Twitter account, a YouTube Channel, and an Instagram account. HOWEVER, A WEBSITE AT YOUR OWN DOMAIN IS CRITICAL. All of these social networking websites are great ways to communicate with your existing fan base, and they help gain customers in some ways, but most importantly, they help validate your event. Having a real website at a domain that is unique to your event and using these promotional channels to PROMOTE your business, you stand a much better chance of success. But having a website is expensive! No, it’s not expensive. Having a website for your event does cost some money. 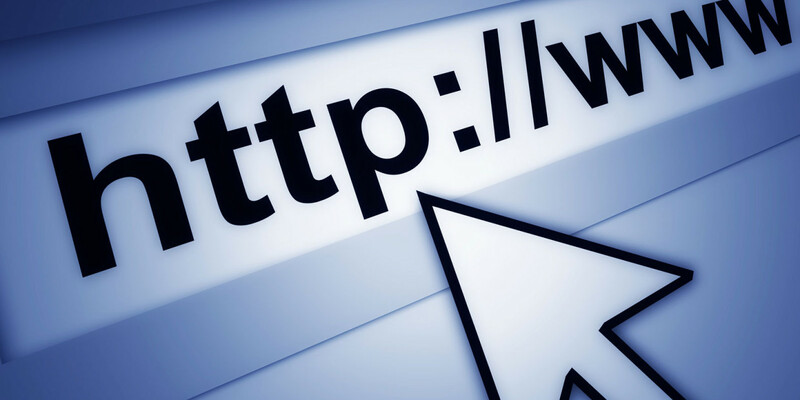 It will cost at least $10/year for the domain name, and anywhere from $1 up to $25/month for web hosting, depending on your needs. Consider that your website is often the first thing people see about you and your event, and that it’s often the marketing channel that delivers the most customers to your door – at the lowest cost. The cost of a website is less than radio or TV advertising campaigns, printing costs for posters, cards, tickets, and just about every other form of marketing your event will encounter. Think about this: How many major brands do you see that have only a Facebook page? Zero. How many of them don’t have their own website? ZERO. Would you trust Coke or Pepsi as much if all they had was a web page at webs.com? Okay, I need a website. What do I do from here? There are literally THOUSANDS of website hosting providers that can help you along your way. A quick Google search turns up more than capable providers. Google “web hosting” in your area (or nearest large town). Or, ask a friend that has a website. If you are completely stuck, send us an email and we will happily refer you to someone. Join us next time when we talk about the name of your haunt, how it relates to your website name, and things you should consider if you are just starting out with naming your event. This entry was posted in Haunt Marketing, Your Website Is Screwing Up Your Event and tagged Haunt Marketing, Haunt Promotion, Haunted House Marketing, Your Website Is Screwing Up Your Event. Bookmark the permalink.